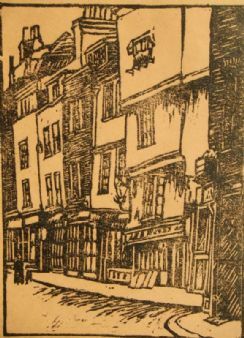 Print number 4 from a very small edition of only 100 impressions. 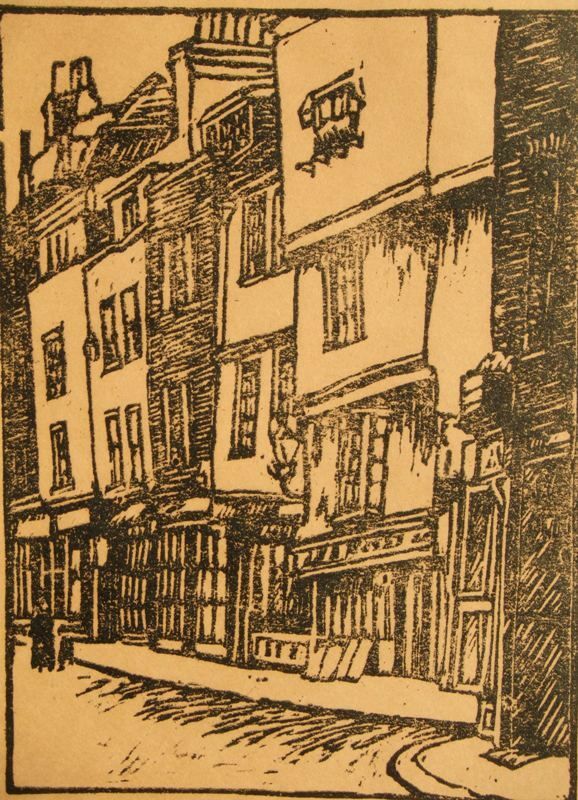 Frank Milray; 1888-1936, (born Mayes) actor and printmaker, as an actor he toured with the the Alexander Marsh Company 1922-24 and Julia Nielson Fred Terry Company all over the country, painting and sketching as he toured. He married Esther McPherson (1897-1965) they had a son; John Mayes (1921-2012), John acted with the well-known Shakespearean actor-manager Donald Wolfit. 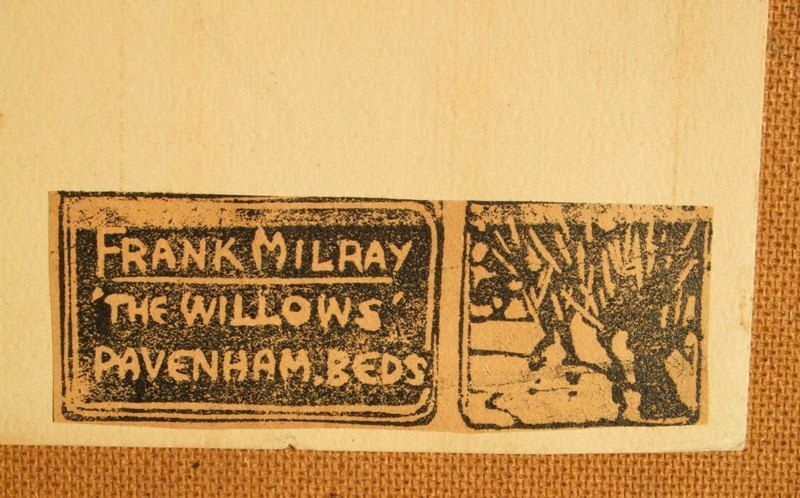 In 1928 Frank retired to 'The Willows' Pavenham, Bedfordshire. 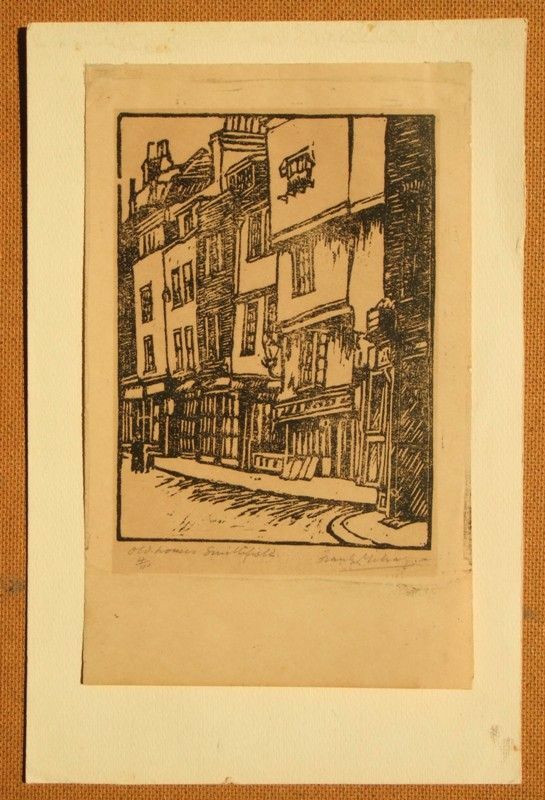 A fine original wood engraving which is bright and unfaded, printed in black ink. The image size measuring approximately 13 cms. x 17 cms. ( 5 x 7 ins.) on a wove paper sheet size of 15 cms. x 25 cms. ( 6 x 10 ins.) top hung by its upper edge to a backing sheet. 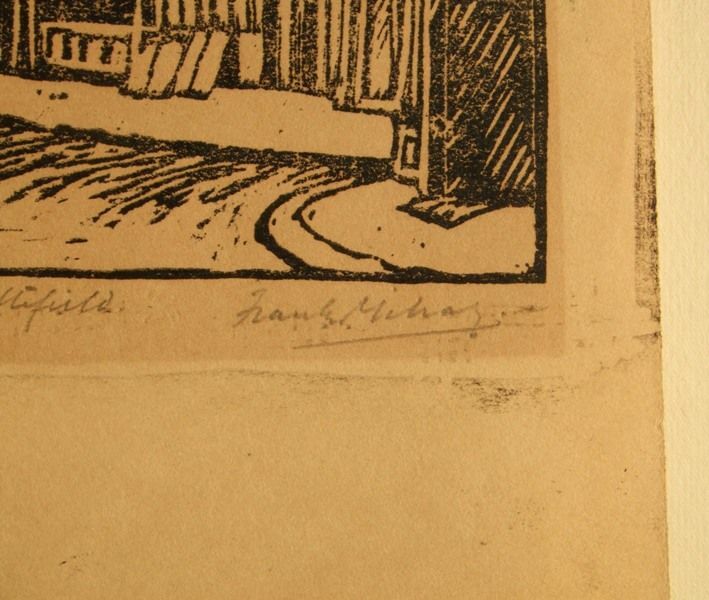 Signed and titled by the artist with the edition in pencil in the lower margin. 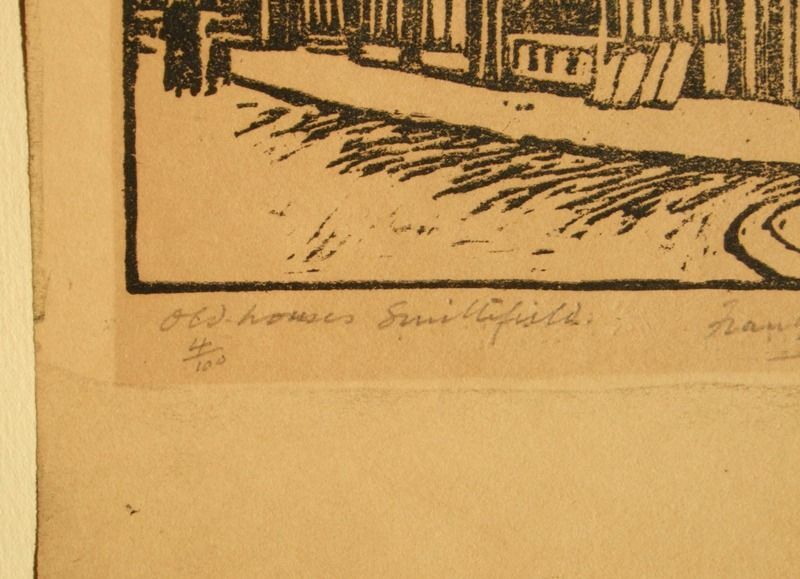 The reverse of the sheet carries a second wood block image and the artists name and address.